Jan’s lifelong love affair with the Swans is reciprocal, the Swans love her back. It was never more evident than at her book launch at the SCG, attended by past players, officials and respective media organised on Jan’s behalf by Richard Colless and the Sydney Swans. It will come as no surprise to many that Jan approached Richard Colless to write the foreword to her book. She goes straight to the top. “I was flattered beyond belief when the author asked me if I would write the Foreword to her beautifully crafted book,” Colless said. 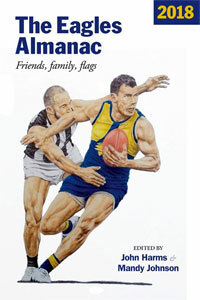 Jan’s involvement with Richard goes back many years and you will have to read the book to understand the full circumstances, but in typical Jan style it began when the Swans made the finals in 1970. Based in London and starved of success, Jan had to fly home to attend the semi final at the MCG, this devotion to her team was subsequently reported in The Herald by journalist Phil Burford. Fast forward 46 years and at Jan’s launch, Phil Burford was there, organised by Richard Colless. It is this attention to detail, the understanding and harnessing of the passion that fuels a football club that the Swans do so very well. Having provided some advice to Jan about self-publishing, I was continually impressed by not only what Jan could achieve but by how approachable the Swans were. 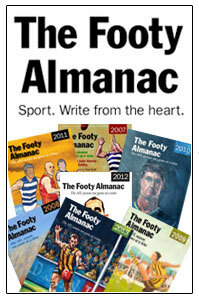 I think it is befitting that Jan’s speech delivered to the faithful at the launch is reproduced here for Almanac readers. First and foremost I simply must thank Richard Colless and Andrew Ireland – and of course the Swans – for their unbelievable support and generosity over the past few months, and for holding this launch here at the Swans headquarters. Thank you, thank you, from the bottom of my heart! I would not be standing here, but for the two of you. I’d also like to thank very much all of you who have come today, especially family who have travelled from Melbourne just for the day. I really appreciate your support. I decided to wear this badge today; my old, well-worn red and white badge. It says, very simply, I’M A SWANS LOVER. Truer words have never been spoken. In fact, truer words have never been written. With that in mind, I decided I would write a letter to the recipient of that love – a nice old-fashioned love letter, one that would have be penned not that long ago, before social media took over and bastardized the english language with its abbreviations of the written word. From the invitation you will have gleaned a brief outline of my journey and how the book came about, so, instead of talking specifically about myself and the book at this point, I’d prefer to read you my letter. The time has come when I need to tell you of my love for you. This love has been burning inside for many long years, and cannot be contained any longer. Now, towards the latter stages of my life, I find a need to express myself; a need to let you know what it is I love about you, and how you have been such an integral part of my life since I was a small child. As with all love affairs, the emotional rollercoaster has certainly had its fair share of ups and downs. There has been pain and suffering, tears and torment, and at times I’ve even allowed anger to rear its ugly head, albeit fleetingly. But there has been an abundance of happiness as well. We have both been through low times, especially when you lived in Melbourne, and weren’t able to string many wins together, year after year, and even decade after decade. There were highs too, mind you, and a win was celebrated as if we’d won a grand final! And there was also much excitement, you’ll recall, when our champions often won the Brownlow back in those days. I’m sure you will never forget the turmoil we all went through when you were packed off to Sydney 30 odd years ago. But we stuck with you – well, I certainly did! There was no way I would have abandoned you. How could I? True love is enduring, and you certainly needed as much love and support at the time, especially being sent up here, where our game was not part of the local psyche. The emotions have certainly flowed since those times, with the highs far outweighing the lows. These past years – since 1996 really – you have given me and countless thousands of others much joy and happiness in all you have done in achieving your dreams. You – the players, and the Club – have been absolutely wonderful, and have certainly given that thunder a damn good shake! Sure, there have been tears too – floods of them at times – and not just about the game itself. I have never been so saddened and disillusioned as I was last year when our much-loved champion Adam Goodes was subjected to the most vitriolic and abhorrent treatment I’ve ever witnessed on a footy field. It was a blight on our game – no, on our country! – but as Blood Brothers you made sure he was wrapped in the love and admiration that he so rightly deserves. What I really love about you, my red and white heroes, is your resilience, your determination, your work-ethic, your magnificent skills, and your hardness, discipline and relentlessness – in other words, all of the attributes in the Bloods Culture you live by. What I also love about you is knowing that I am embraced as a part of your family – the Swans family – and that I’m able to return that embrace – as we do in a loving family. In fact I love you so much that I’ve even written a book about you! Well, not about you as such, but with you as its central character. What a journey that’s been! And I’ve even admitted to some pretty terrible things that I’ve done in proving my undying love: like driving down from Brisbane in the late 70s to go to my sister’s wedding in Melbourne, but instead, taking a secretly planned detour off the Hume to the MCG to watch us play Richmond! Thank god we won! We did arrive in time for the reception though! I still haven’t really forgiven myself for that one, even though my sister says she has! And earlier, in 1970, when I was living in London and we’d made the finals for the first time since 1945 – my first Swans final – I left my poor mother in London after driving back from a holiday in Germany, so I could jump on a plane to Melbourne to make sure I was at the game to be close to you and cheer you on! And, I’ve even involved my car in the love affair. There are many stories about SWANZ – my red and white number plate: that’s SWANZ with a Z at the end. I couldn’t get the real spelling so Z was the next best. I’ll quickly tell you just one such story. Marshall, my husband, and I had moved to Sydney by now, and were working and living in Paddington at the time. Our car was parked outside our Art Gallery and we’d gone for a coffee before we opened for the day. It was a Sunday, the morning after Mardi Gras, and returning to the gallery we noticed a young good-looking guy staring intently at our car. A bit odd, we thought, so we walked up to the car thinking he would then walk away. “I’m very interested in your name plate”, he said, in a strong German accent, pointing down to SWANZ. “Oh”, I said, in a slightly unprepared way, “I’m passionate about them, loved them since I was five years old, can’t get enough of them really, and …”. Here he was, the morning after Sydney’s renowned gay Mardi Gras, perhaps wondering whether he was onto a good thing, and grandma and grandpa turn up, with grandma telling him about her passion for them, loving them since five years of age and not getting enough of them! So, on that note, my beloved Swans, I hope that the words on my badge I’M A SWANS LOVER have rung true! I send you all my unconditional, enduring love and support. It will never waiver! A loud Cheer cheer to you all and to every single player who has ever donned the magnificent red and white guernsey. There would have been no love affair without you! ps JUST THREE MORE WINS, GUYS!! You CAN do it! PLEASE do it!! My Lifelong love affair with the Swans by Jan Courtin, self published. A donation of 10 percent from the sale of each book will be given to the GO Foundation, a charitable organisation established by Adam Goodes and Michael O’Loughlin to provide Indigenous children with scholarships to quality schools. 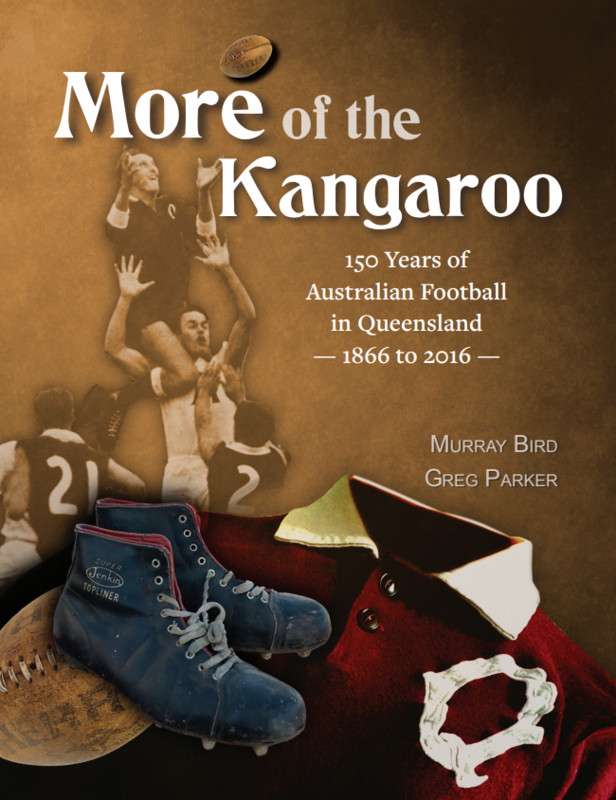 Almanac members get a discount, a good read for not just Swans fans but anyone who understands the passion that we carry for our colours. I’m Jan’s better half, Marshall. I get a few references in her book, so I’m adding my bit. I sit with her at the footy, often embarrassed by her fanatical cheers as one of her favourite Swans kicks a goal, or takes a great mark, and her disappointment when someone merely kicks a point. Yesterday’s book launch was a wonderful affair, and a vindication of Jan’s hard work and devotion to the Swans. Her speech was well received, and she got a few laughs too! And a special thanks to Richard Colless, who made a heartfelt speech about Jan’s love of the Swans and the book. I’m very proud of my darling wife! well what a Book Launch. i rocked up to Sydney to be at my sisters Book Launch along with another sister Marie and my brother Tony. i so enjoyed the morning with lots of people, Jans most entertaining speech. and what a fascinating story Jan tells in her Book. tales of her travels through her life . tales of the best footy team in the world. tales of our Great Uncle Jim Caldwell captain coach of South Melbourne way back in time. tales of our Family through time. such a fascinating story Jan. tears laughter memories for me and lots of Photographs along the journey in her Book which i personally love cos i am a Painter/artist. GO JAN. GO BOOK. GO SWANNIES ????????? Many thanks Dave for your kind words. And Polly, my youngest sister and the one who’s wedding I missed! Thank you for your very kind words too. And thank you for making the trip up to Sydney for the day. At least you got to see some of your heroes up close and personal too! Well done, go the Swans and as much as he claims to be part of the Collingwood faithful, I now know that Eddy Mcguire is a true Swanz! it was an honour to attend your book launch yesterday and what a wonderful book! I couldn’t stop reading and finished it around 1 am last night! Well done, go the Swans. Well done Jan! I’m so glad I came up to Sydney for the day for your book launch. Your speech was wonderful and the atmosphere was very warm and welcoming. I read half the book at the airport and on the plane back to Avalon. So many memories of our childhood, especially the Saturday arvo footy games. I now realise properly how terrible it was for you being in boarding school for 2 years and missing out on footy.I could not have done it. Thank goodness I was a sooky babe and always homesick – I got off boarding school! Anyway Jan, well done again. I just wish the Swans were still South Melbourne and I would have my mighty Bloods! So Geelong it is! Hopefully see you at the grand final!! “The traitor”. This is Dave’s post, but I need to thank Nic and Marie for the lovely comments. Nic, his wife Caroline, and their son Zac have been sitting in a row in front of us in the O’Reilly Stand since we moved to Sydney in 1999. For 17 years now, we’ve never known each other’s names! Have just had on and off conversations before and during games all of these years. We were even staying in the same motel in Gundagai years ago, when both parties had been down to Melbourne for a game. So, our paths have crossed on many occasions. 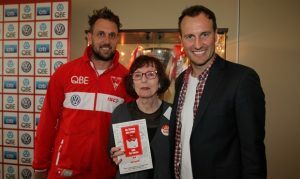 Before last week’s game against Richmond, I wanted to invite them to the book launch at the Swans, so finally asked their names and we exchanged emails. 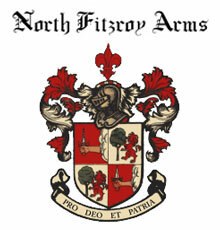 I sent them an invite and Nic was able to come to the launch. So, having known very little about Nic and his life, I get this amazing response from him. 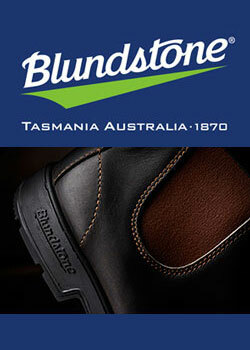 I just love his “short story” above – a nice insight into HIS life and his footy background. Amazing really, how we meet people over the journey, know little about them – not even their names for heaven’s sake! and then the connection suddenly has meaning. And Marie, my lovely “traitor” sister: I was just so grateful to you for coming up. Having to get up at 4am on Wednesday, get from Ocean Grove to Avalon to Sydney, arriving in time for the Launch, then going back at 5pm to Avalon and then to your voluntary work with an elderly client that night!! Just unbelievable! Thank you, and thank you for your very kind comments. Would certainly be nice to still have you as a “Mighty Bloods” follower, but I just have to accept you decision to turn. Interesting how Richard Colless tried his best to get you to come back to the fold on Wednesday – believing it “takes time”. Well, I think that 34 years is certainly more than enough time, so I have to hope that if we meet up in the finals, we will give your Cats a good dose of what we gave you at Kardinia Park on July 8th this year! And, I’ll give you a CHEER CHEER for old times sake! CONGRATULATIONS, Jan. A fantastic achievement!! A great story. I do know how much was involved for you. Certainly worth it. I would have loved to have been at the Launch, Jan! But sometimes life gets busy and everything we want to do is not possible. It was YOUR day, Jan, and from what I’ve heard from other siblings, it was absolutely wonderful. I feel I know the book quite well, as I did design it!! From years of experience, I only feel really relaxed and happy about a project when I see the actual printed copy!! And I am very, very pleased with it. I love it that the three eldest Courtins were involved – the ‘biggies’, as we’re always called. I reckon it’s a really good week for the book launch, with the end of the season and the Swans on top of the ladder. As you know, I’m not a football follower, but I do LOVE the Swans to win for the passionate supporters in our family. And it’s always good to see happy, smiling Courtins!! Well, more family to thank! Jude and Julie, many thanks for your kind words. And thank you Julie, again, for all the long hours you’ve spent doing the layout and design. I’ve had many fabulous comments about the design of the book! Jan,the trip to Sydney to share your wonderful achievement was absolutely worthwhile. I frequently observed the audience during your entertaining dissertation,and,like me,they were captivated. Have read most of your book,an entertaining tale touching on many aspects of life, but all tangential to the common thread of your story,your undying devotion to the mighty bloods. Editing and design by Robina and Julie respectively makes the book even more special. Well done. Go bloods.